We have a lot to say about a cultural mix that’s not really mixed, about the management of our African country, and about the misuse of precious natural resources. This is by far the hardest piece of writing I’ve ever had to craft; the plausible theory of decadence in our beloved Liberia while we are in need of healing, both body and spirit. How can you share the root of our problem with someone who is content with the lies they believe? Is there a way to help break past our acceptance of the status quo and truly examine what we believe? Do we wonder how we got to the point where morals and truth don’t seem important? Did it happen overnight or was it a gradual process? What happened to our sense of shame? The overturn of selling Africans in the slave trade have stood vigil over Liberia like a corkscrew willow tree since the first settlers met the natives that first day sometime in 1822. It is with caution, that I try NOT to do the right thing in the wrong way. Selflessness – ditch the crab-syndrome because hate will only keep hauling Liberia into hell. To quote Alexander Hamilton, “Men often oppose a thing merely because they have had no agency in planning it, or because it may have been planned by those whom they dislike.” It’s wrong to celebrate the breaking of any life. Ebola forced us to care and take care of one another. This, I hope, will lead Liberia to increased prosperity. What will make Liberia great is working together, what makes us weak is failing to work together. Those we leave behind, our children, is really our future that we keep behind. What do we expect our future to look like if we don’t prepare for our old age? How will Liberia function among other nations when our children are left behind? Patriots of the fifteen counties, WE ARE NOT. If our loyalty is only to one out of fifteen, all lights, including the one you are loyal to, will burn out soon enough. If you are not your brother’s keeper, who keeps you? Patriotism, zealous support of one’s country, keep that light burning, that flag flying and tears swell your eyes when the national anthem is heard. We need loyalty for all fifteen counties rather than one. What have an effect on those beyond county borders affects within county borders. Have we not realized, neither the civil war nor the Ebola virus could be contained outside of any border? Every life is equally important and worth fighting for, regardless of gender, age, tribular inheritance, or status—social, economic or otherwise. Every living thing is a part to play in God’s purpose. Who to vote for? Here’s an idea. Put into office those who have shown community service in the past, certainly not those who killed our citizens. “You kill my Ma, you kill my Pa, but I will vote for you” is absurd. We shouldn’t vote for anyone who misuse the country resources, much more murder our citizens. You are only putting your life in the hands of criminals. It’s like tying your most expensive piece of jewelry on a long string and then drag it behind you. Warlord-turn-politicians beg you to take them into your hearts only to rob you of your basic human rights. Give the power back to the people and make politicians earn the votes of Liberian citizens, but never through intimidation. I’d like to believe dictatorship in Liberia started in the forties, when the sitting president (William V.S. Tubman) remained in office after his second term as the constitutions clearly state that presidential term of office is limited to two. Seven terms? That’s absurd. Service beyond self; give beyond your means to others. Leave hate behind, you no longer have to fight each other for 43k-square miles of land, it belongs to everyone. The flag, seal and national anthem all have meaning, learn them—not just mumble words that resemble the actual words. Accept what the rest of the world acknowledges our country by so that we move forward together into prosperity. Ignorance (lack of knowledge) is more deadly than Ebola. Education, no matter where or how acquired, is the most important ingredient in the life of any society. Not every citizen can be, or needs to be, institutionally educated, but every citizen ought to learn logic by which society basic human rights are honored. The voice of ignorance may be loud, but the voice of reasoning is louder. According to the great philosopher, Socrates, virtue (general moral excellence) is based on knowledge (awareness). Sanitation is as absolute as breathing; and this can never be stressed enough. As news video recording of bushmeat being sold in the market was shown during the Ebola crises, flies covered the meat. Ebola is not going away as long as it wins. These are living organism as we are. God put us (man) in charge of all living things. Like human beings, all living thing fight to live… survive, including microorganisms. Get off the most corrupt country list, there’s no pride being number one. Integrity ought to be a living and breathing principal that should come natural. During the Ebola crises, the lack of integrity provide an understanding of the mistrust that Liberian citizens harbor. I pray after this nation will embrace a change, radical and reasonable, on anyone, including ANY person holding government office, that ALL laws are aggressively enforced against corruption at EVERY level of status. On matters of corruption, we ought to be frank. It would be extreme to say we are a nation of cowards when the fact that the power has been stolen from the people gradually by leaders encouraging eye service and flattery. Do we want to get off the most corrupt country list or be first? There will always be people who will try to discredit change. The fact remains, if we don’t end corruption, corruption will end Liberia. Simple as that. Finally, our goal should be to define Liberia as a capable, modern nation deserving of international respect while preserving its own power. Liberians have been tested, not once, but twice; the loss of what is old is an opportunity to discover something new. We were tested by slavery, civil war, coups, hardship and poverty, yet we do not realize that weakness is the result of our gross selfishness. With all its wearing, heart-felt pain, can the Ebola crisis be the means to priceless gain for Liberia? God may have allowed the Ebola crises to get us to give up bad habits or learn new virtues. Bitter experiences are often used to make us better. Have we examined ourselves to see whether we have failed each other? Unless, indeed, we have not failed the test, I pray to God that we have met the test and from here on, do what is right. Let us aim for unity and agree with one another in the restoration of basic human rights for every Liberian. 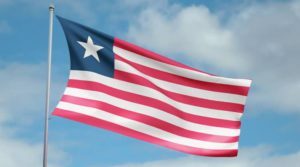 May the gracious God of love continue to bless Liberia, and a new law and order for Liberia be the companionship of unity that will overpower us all.